Orca Currents are short high-interest novels with contemporary themes, written expressly for middle-school students reading below grade level. “The teachers can’t do nothing to us,” Lisa told him, crossing her arms. The paintball wars aren’t on school property. “But—,” Micky tried. It was like trying to stop a hurricane. Micky shrugged. When people called us losers, it just made our group stronger. “It’s the Medford gang I care about,” Lisa continued. “The Sewer Rats have never lost a paintball war and we’re not going to chicken out now. 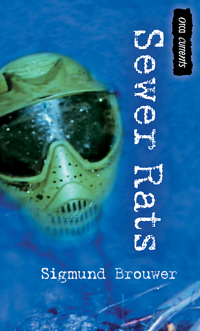 Jim, Mickey and Lisa belong to a secret club called the Sewer Rats. Every Saturday the Sewer Rats reign supreme in paintball wars held in the city’s storm drain system. The new kid, Carter, wants to join, but Lisa doesn’t want him in the club. When Carter is hurt in his first paintball war, Jim and Mickey suspect that Lisa planned the accident. They try to confront her, but she runs into the tunnels just as a rainstorm begins. Jim and Mickey have to get Lisa out before the tunnels fill with water. Halfway down the run I knew I was skiing the best I ever had. If I kept pushing, I would easily stay at number one. Beneath my helmet, I grinned my grin of fear. And as I cut into a steep turn, I saw it. But couldn’t believe it. Wire. Black wire stretched between two trees at waist height. I was flashing toward it at thirty meters per second. Hitting the wire at that speed would slice me in two. Keegan must snowboard to safety. Keegan Bishop, championship skier, is almost injured in a dangerous trap set for one of his teammates. Snowboard tracks leading away from the trap are the only clue as to who might be responsible. Keegan teaches himself to snowboard so he can find the culprit on the snowboarding slopes. 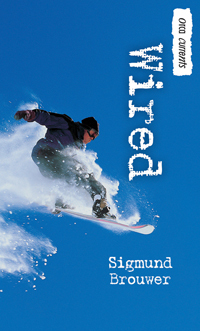 When Keegan discovers that someone has been stealing snowboards and skis at Bear Mountain resort, and the girl he’s just met is somehow involved, he must face his fears and test his new snowboarding skills in a run for safety.